We have created an incredibly unique Christmas attraction that we would like to rent to you. It will make your establishment standout above all other establishments. We have designed a 12' tall snowman that is made of REAL snow. It stays frozen indoors because of some innovative use of refrigeration technology. The public reaction to our snowman has been phenomenal! People approach our snowman with complete wonder and awe and leave with grins from ear-to-ear. They just can't believe their eyes! Our snowman has been so interesting is has attracted the attention of Discovery Channel's, "Daily Planet" and CBC's, "On the Road Again". You can view these interviews by visiting the Video section. Current News! 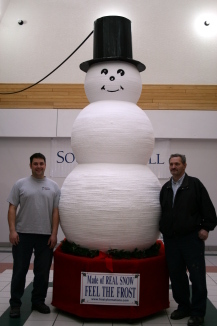 For the 2008 Christmas season we have plans to set up two 12' tall snowmen. One will be set up in Saskatoon at Dakota Dunes Casino and the other will be set up in Prince Albert at the South Hill Mall. Don't miss them! 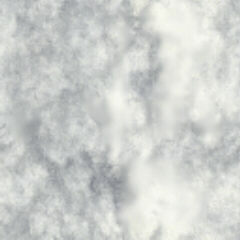 Feel free to tour our site and leave a comment. We especially like to hear your comments if you have actually seen our snowman. If you have any questions contact us and hopefully we can get you the answers you are looking for. We have a "table-top" version of our 12 tall snowman. We plan to use it as a sales prop. 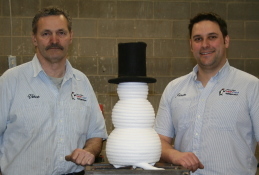 If you would like to see how our snowman works in action before committing, then set up an appointment with us. We'd be more than happy to show you.